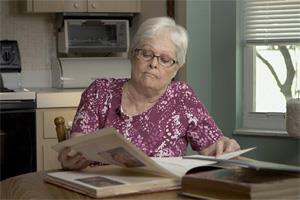 More and more television shows, you may have noticed, never really die. They seem to, then spring back to life. They’re zombies. In a good way. And part of the reason for this is fans who let it be known they’re not ready to let go. They’re fanatics, in a good way. 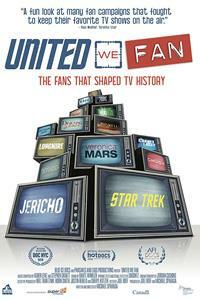 United We Fan, a documentary that becomes available for streaming Tuesday through Brainstorm Media, tracks one of the taproots of the save-our-show movement and notes more than a dozen of the shows fans have saved or helped save, including the likes of Cagney & Lacey, Star Trek, Chuck (right), Veronica Mars, Quantum Leap, Jericho, and Designing Women. Director Michael Sparaga takes the yes-we-can route here, so United We Fan provides a decidedly upbeat perspective on the power of viewers. If enough fans get together and come up with a smart strategy, this documentary declares, they can force the decision-makers to rethink and reverse. At least sometimes. Sparaga starts with Bjo (top) and John Trimble, the civilian couple some credit with saving Star Trek in its uncertain early days. After a couple of seasons, the show was mired in the middle of the ratings pack and was about to get axed when the Trimbles decided they weren’t ready to stop watching, doggonit. The campaign they started was successful, and things subsequently seemed to work out for the Star Trek franchise as well. Sparaga interviews the Trimbles today, 56 years into their marriage, and they still have an offbeat look – multicolored hair for her, long white beard for him – along with a wry sense of humor. 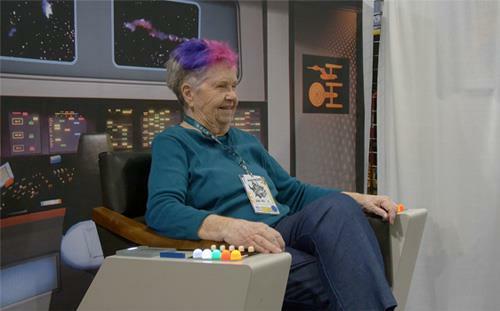 They’re still proud of what they did, they say, and even though they made no money from it, they are revered in the Star Trek universe and have gotten to travel all over the world. The other foundational campaigner profiled here, Dorothy Swanson (right), says she was just a so-called ordinary housewife in Hillsdale, Mich., when she got hooked on Cagney & Lacey, the 1980s Sharon Gless/Tyne Daly show about two female cops. Having women in that kind of position was unheard of back then, Swanson correctly notes, so when she read that the show was on the brink of cancellation, she wrote letters to the creators. They struck up a correspondence, and after the show really was cancelled, Swanson went into overdrive on a campaign to revive it. She wrote maybe 500 letters, she says, getting friends and family to sign some of them, and while organizing a campaign in those pre-Internet days was hard work, she did. The show was resurrected, and the network said fan mail was the reason. Buoyed by this success, Swanson went on to co-found Viewers for Quality Television, a fan-lobbying organization that promoted what it considered good shows and later in its 15-year life even started giving out annual fan-voted awards. An emotional Kelsey Grammer is seen thanking VQT for acknowledging his work after a year he spent partly in rehab. A documentary like United We Fan inevitably must walk the line between fans who are otherwise sane and fans who make you a little nervous. Sparaga walks it well, acknowledging that there are extremists out there while also arguing that TV shows aren’t always just passing abstract entertainment. Shows can create genuine connections to stories and characters, and while the idea that TV characters become “family” probably needs some discussion, it’s not unnatural to form attachments to art. In that vein, one of the most extended and interesting subjects here is 26-year-old Kaily Russell, whose campaign to save Person of Interest has not achieved that goal despite an online petition with more than 78,000 signatures. United We Fan suggests this does not mean she’s failing. On the contrary, she talks about how just running this campaign has dramatically changed her life. She’s learned strategies, and she’s made friends. It’s something she’s stuck with, and it’s helped her ground the rest of her life. Sparaga talks with more than a dozen stars and creators from rescued shows, and they all have kind words for fans who persist against what are still long odds. Swanson, who eventually got to meet and accept thanks from performers whose shows she had helped save, remains a rare exception. But in a world where one person in front of a TV or computer screen feels far removed from the people who decide what’s going to appear on that screen, United We Fan assures us that sometimes there’s a way to send a message.